A. We have just the thing for you, Beverly! The easy-to-grow Tendergreen Mustard, also referred to as “Mustard Spinach” and “Komatsuna”, is actually not a spinach but in the Brassica family. This tender mustard green grows to maturity in less than 40 days, requires little care, can take cold weather as well as heat (although it tends to bolt in hot weather), is drought tolerant, and can be sown and grown year-around in mild climates. Tendergreen mustard is a Japanese green that can be eaten raw or cooked. It has thick, smooth, glossy green leaves, oblong in shape. Tendergreen mustard is widely used in Asian countries both in stir-fry and in salads. Its tender leaves, as well as its flowering stems, are used raw or cooked and have a flavor between mustard greens and cabbage. It can be harvested at any stage of growth. Tendergreen mustard can be grown in the ground or in pots, in full sun to light shade. Tendergreen mustard requires nitrogen so prepare the soil with compost and use nitrogen fertilizer as the plant matures. It prefers moisture-retentive, well-drained soil. Plant small areas in succession to keep your supply constant. Plant seeds about 6” apart then thin to 12”. Don’t throw away those thinnings. 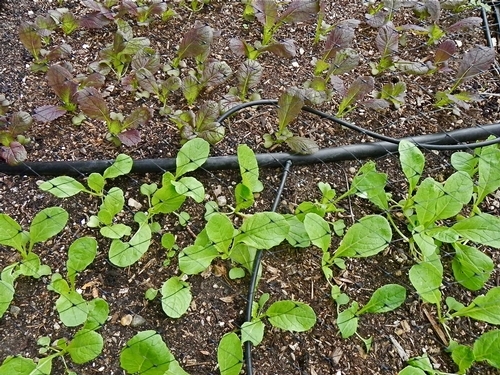 Use the young plants in salads. Once the mustard is 12” tall, begin harvesting the outer leaves leaving the inner leaves to mature. Tendergreen mustard is delicious when mixed with other greens in salads or stir-fried in oriental dishes. 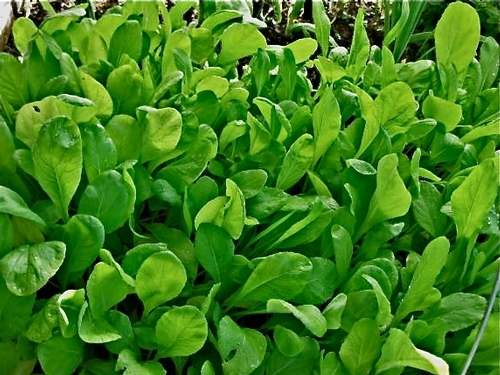 This is one reliable green that no vegetable garden should be without. After this article published we had many phone calls that the seed were not available at local nurseries. Here's a list of suppliers of this seed that we found on the web. We are not affiliated with any of the following companies. They are listed in alphabetical order. Native Seeds Search in Tucson Arizona also sells local Tendergreen Mustard seeds. Thank you, David, for letting us know!